Emily, a biologist with Washington Sea Grant, coordinates a group of trained volunteers known as the Crab Team. These folks place crab traps in dozens of locations where habitat is suitable for green crab survival. When invasive crabs are found, the volunteers put out many more traps in hopes of reducing the population before it grows out of control. The hope is that invasions can be found early so that the extensive trapping makes it more difficult for the limited number of crabs to locate suitable mates and continue to expand the population. Each female can lay up to a million eggs at a time, and they are not limited to just one or two broods each year. Officials with Washington Sea Grant are not only dealing with foreboding feelings about the green crab invasion but also concerns that the Crab Team may be shut down for lack of funding. At the federal level, President Trump has proposed eliminating the entire Sea Grant program nationwide, halting research and various types of assistance for marine projects across the country. At the same time, the state’s Aquatic Invasive Species Program may also have little or no money to battle the green crabs. Program officials requested increased funding from this year’s Legislature to support the Crab Team as well as address invasive zebra and quagga mussels. The budget proposed by the state Senate contains the full funding — including a portion of utility tax revenues that currently go into the state’s general fund. The House budget for the program includes a new fee on nonresident watercraft, but the amount of revenue is relatively small. “If we lose the Sea Grant early detection program, we are going to be in a world of hurt,” said Allen Pleus, coordinator of the Aquatic Invasive Species Program at the Washington Department of Fish and Wildlife. Allen said it would be hard to get along without the trained Crab Team volunteers, who provide the first line of defense for all of Puget Sound. Emily said she has about 150 volunteers putting out crab traps in every part of Puget Sound, and the number may grow. After last year’s discovery of green crabs in northern Puget Sound, officials from tribes have stepped up to help along with staff from state and federal agencies. Trapping begins in April and continues into September if the funding holds up. So far this year, traps placed in Padilla Bay — where four crabs were caught last year — have come up empty, Emily said. 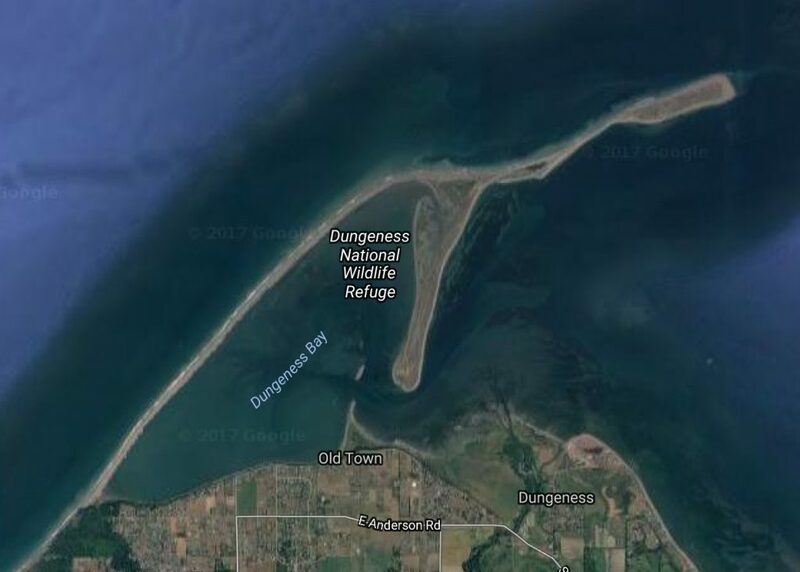 That’s a good sign, she said, “but we definitely have a different story at Dungeness Spit.” To review last year’s findings, see Water Ways, Oct. 1, 2016. Unlike Padilla Bay, where the four crabs were few and far between, the 17 crabs caught at Dungeness Spit were all in the same location. Of the first four crabs caught on April 13, two were caught in the same trap on Graveyard Spit, a small spit that juts out from the main Dungeness Spit. More traps were placed in that general area — up to 52 traps at one time. Three more crabs were caught on April 18, then five more on April 19, one on April 20, and then three more yesterday, along with a discarded shell. “If we can trap them down to make it harder for the males and females to find each other, that is the best we can do,” Allen told me. The trapping at Dungeness Spit is being done with staff and volunteers from the U.S. Fish and Wildlife Service, which oversees the Dungeness National Wildlife Refuge. 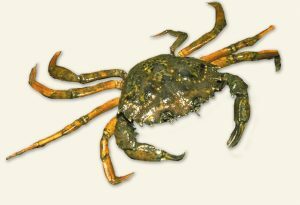 Anyone can look for green crabs and help control their spread while visiting salt marshes and shallow pocket estuaries. People are asked to leave all crabs in place and follow the instructions to email a photograph of a suspect crab to the Crab Team. For identifying information, visit the Crab Team website.